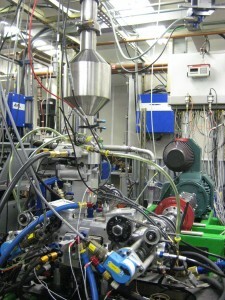 One of the Hasselgren dyno test cells is currently being used for small high efficiency engine development with in-cylinder pressure combustion analysis and a 5-gas analyzer. 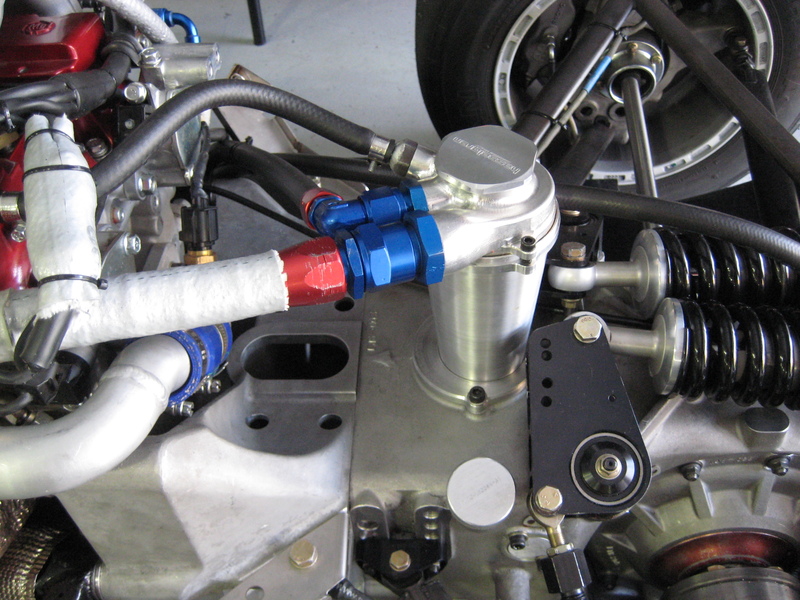 Controls have been adapted for an AC electric drive, temporarily replacing the water brake. 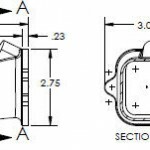 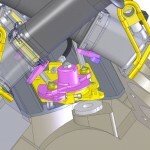 This allows for much finer load control and motoring for friction studies. 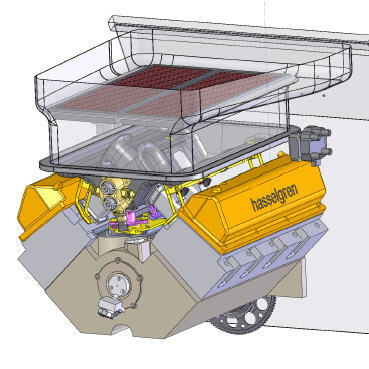 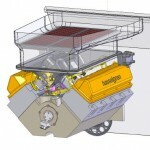 Hasselgren has assisted several customers with novel engine concepts with design, manufacturing, assembly and testing services. 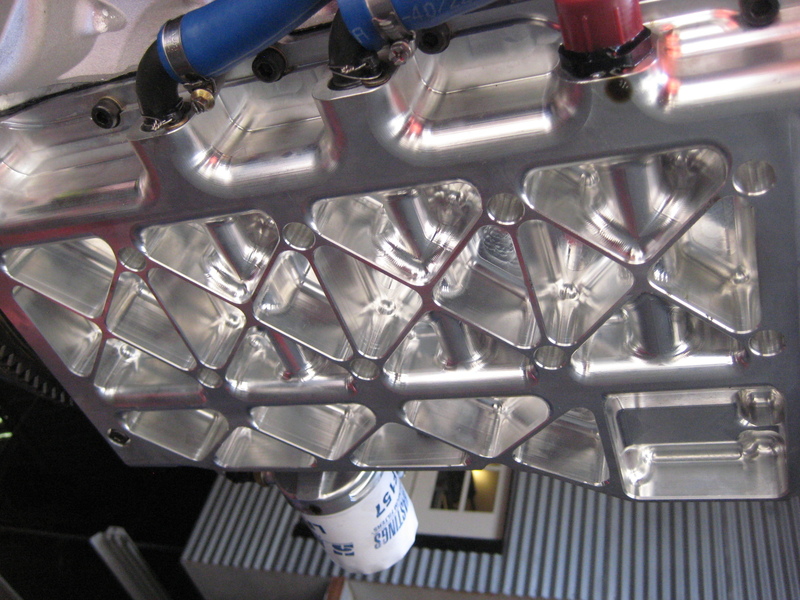 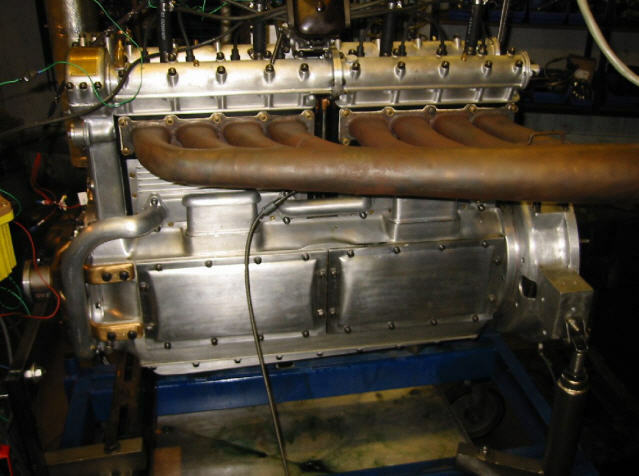 In Feb 2005, Hasselgren began the design for the carburettor-to-fuel injection conversion for Greg Pickett’s TransAm Jaguar XKR. 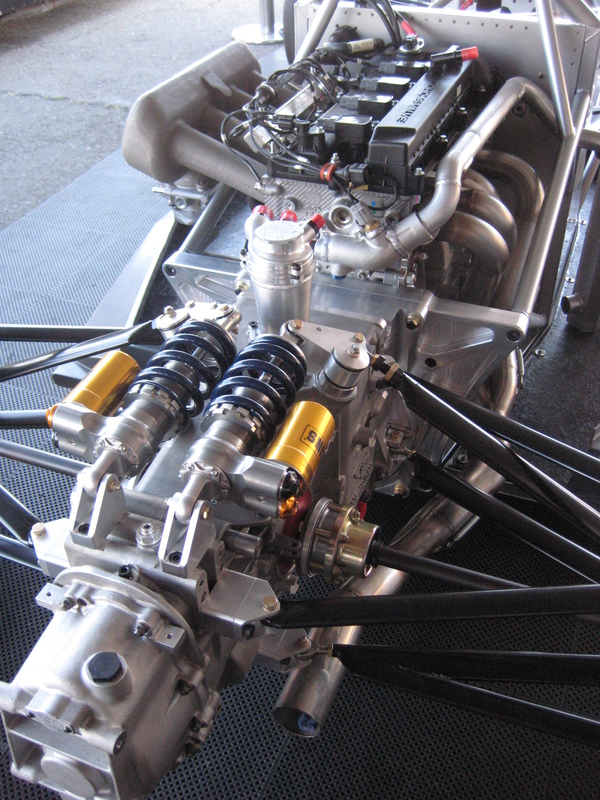 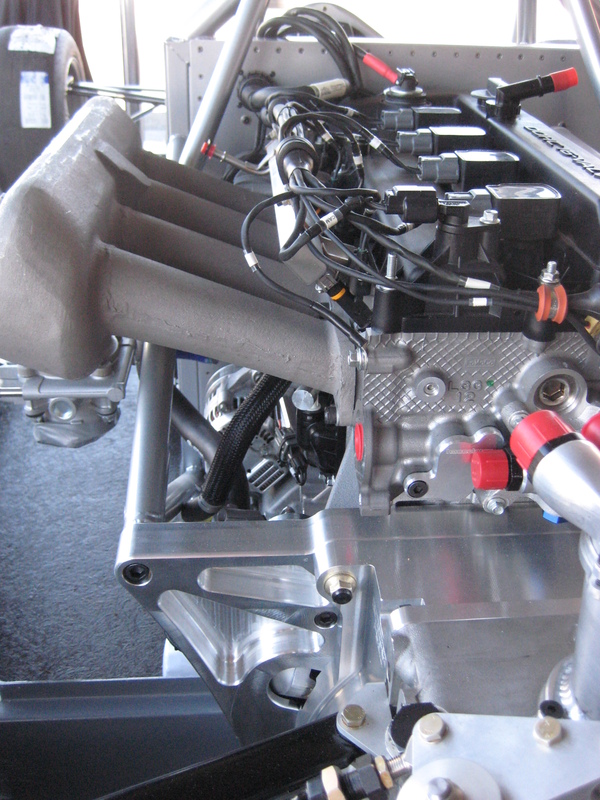 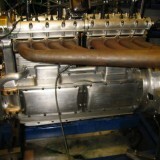 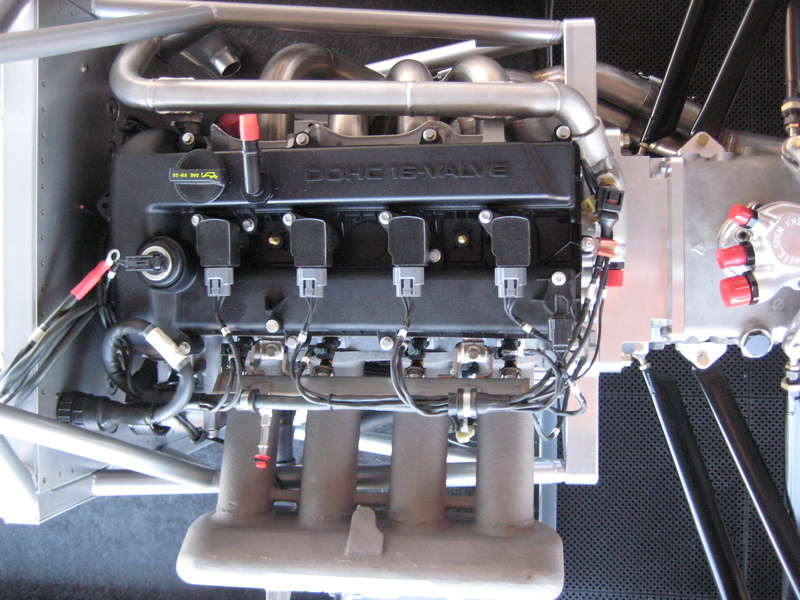 Hasselgren was provided the worst performing engine owned by the team and turned it into their favorite power plant in time for the first Grand Prix of San Jose in July 2005 where they finished 2nd place in a nail-biting finish. 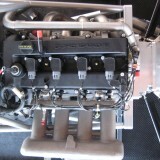 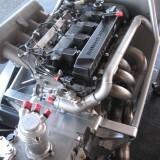 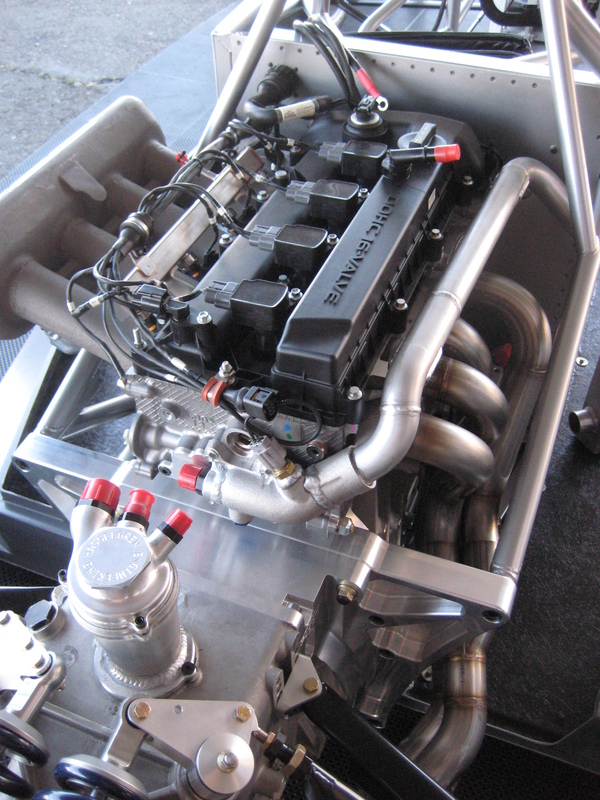 The conversion was constrained by the rules of the race series sanctioning body and the aggressive schedule; highlights of new custom design included: new cam profile, carbon crossover intake trumpets and aluminum individual throttle bodies for the Yates heads, crank/cam triggers per Bosch ECU requirements, carbon airbox. 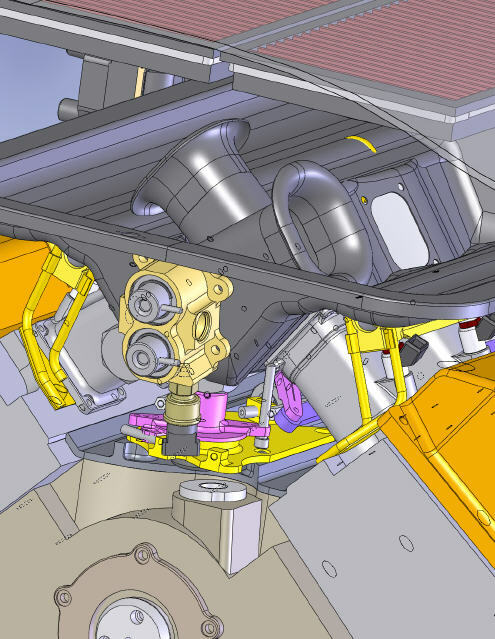 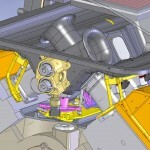 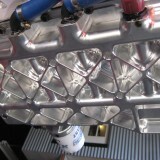 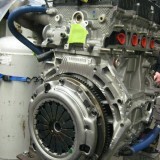 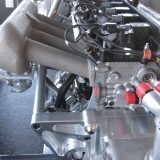 For more in-depth detail, see the Race Engine Technology article. 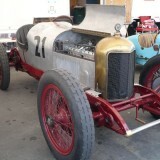 A merging of old and new technologies was achieved in the balancing of a 1919 Miller crankshaft which was so out of balance that the carburettors foamed the fuel and the engine could not run. 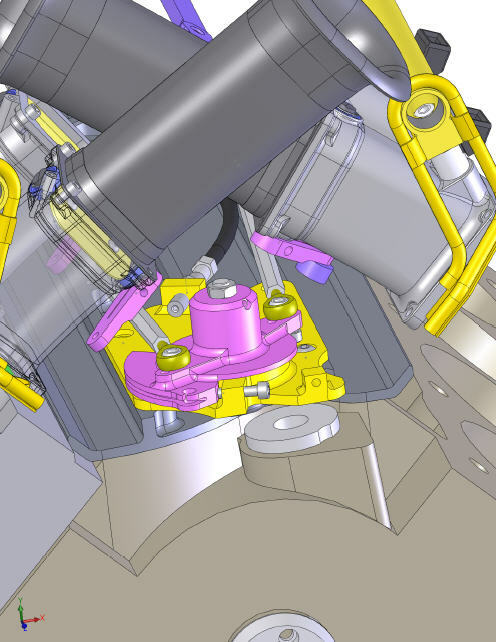 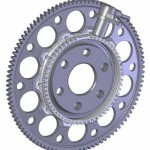 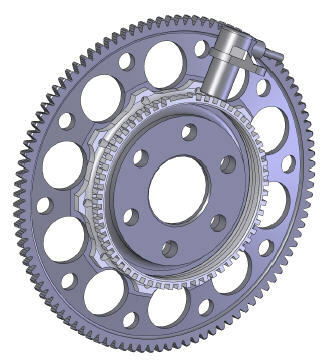 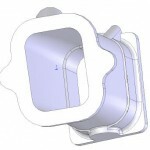 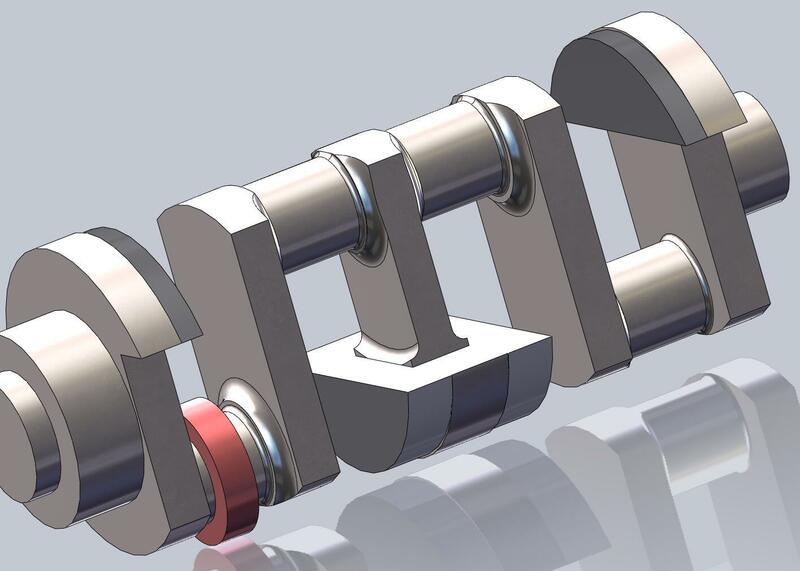 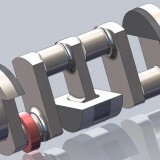 A CAD model of the crank was developed and analyzed for rotating weight requirement. 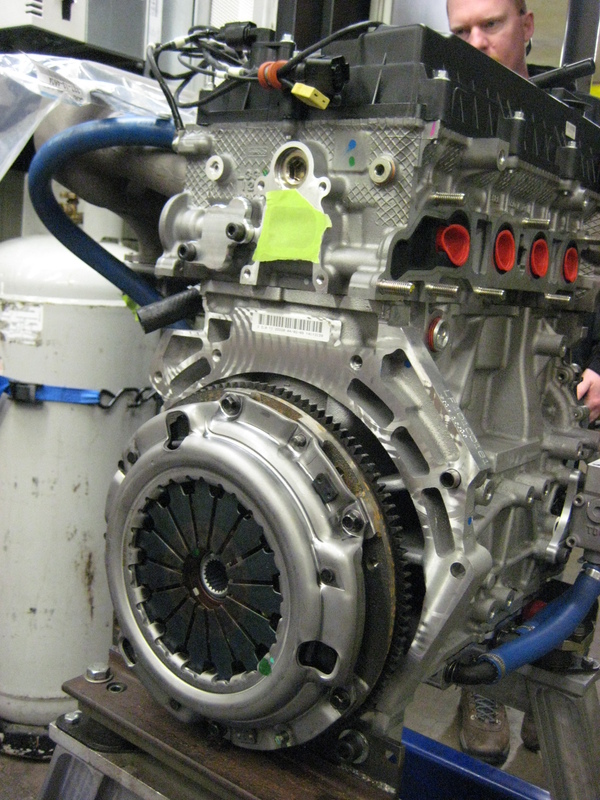 The total heavy metal required and method of attachment to the vintage crankshaft was designed – and it finally ran smoothly in the original engine, first on the dyno and then in the car. 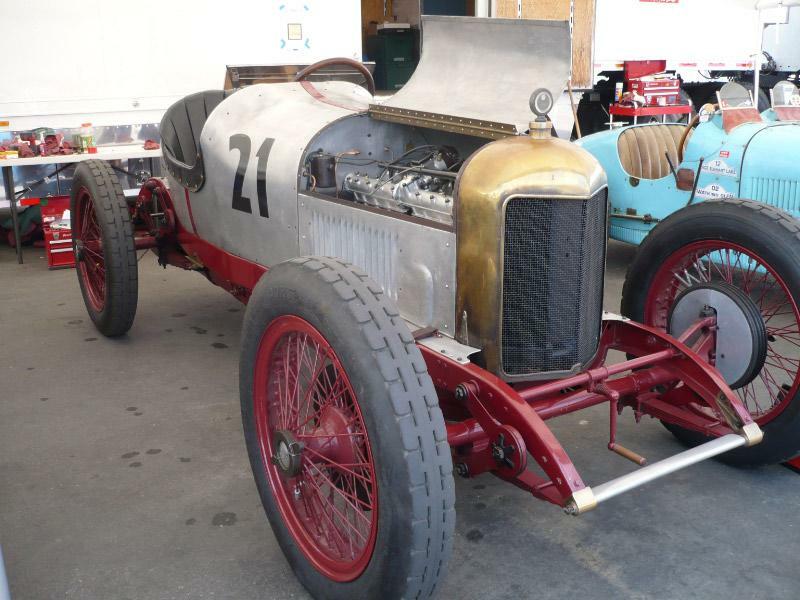 The 1919 Indy Race Car, which ran on the wooden track at Indianapolis, ran again at the Monterrey Historics in 2008.